The Illinois Archery Season opens each year on October 1 and runs through the middle of January. Many Illinois Outfitters use this entire season to book hunters which could mean as many as 15 groups hunting the same farm in a given season. 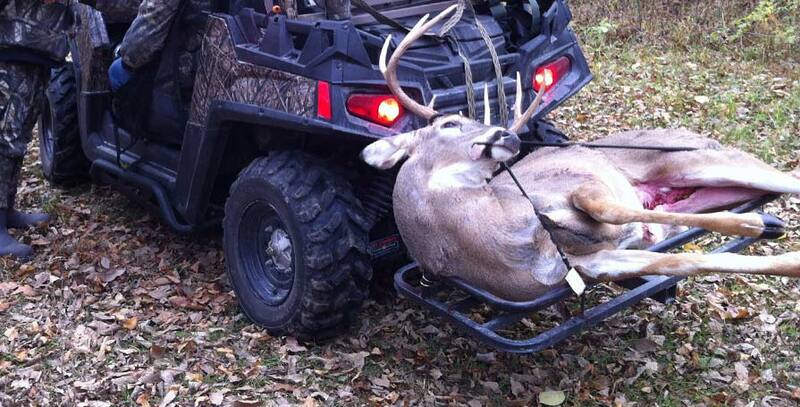 At ITB, we only hunt our farms for three weeks during the Illinois archery season…Three weeks! While many of our neighboring outfitters start bringing hunters on October 1, we wait till the end of October to start hunting our farms. 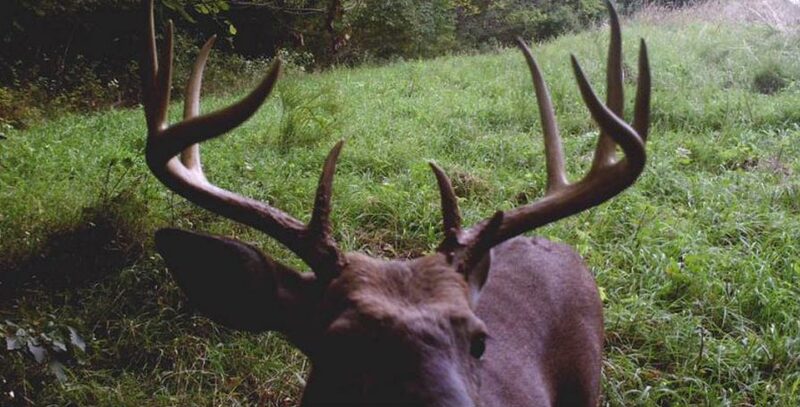 Sure, you can kill a big buck on the season opener by catching them off guard, but you can also end up hunting with standing corn, or worse, hot weather. To increase the opportunities for our hunters, we only offer bow hunts in late October and early November, when you are almost guaranteed to have the corn cut. In addition, hunting later in the season you have better chances of the weather being much colder than the days in the beginning of the Illinois Archery Season. But most important, the three weeks of ITB’s deer hunting season take place during the rut! The Illinois gun season consists of three separate firearm seasons. The first gun season, which always takes place the weekend before Thanksgiving and lasts for three days. The second Illinois gun season that starts two weeks after the first and lasts for 4 days. The Muzzleloader only gun season, which also lasts for 4 days and takes place around the 10th of December. While we could hunt the entire deer hunting season, we choose to focus on just one. The deer hunting season that gives you the best opportunity at harvesting a trophy whitetail deer, the first Illinois Gun Season. 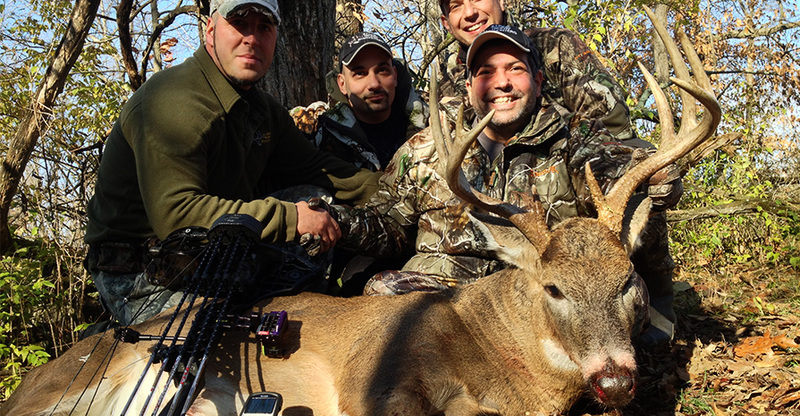 This three day Illinois Gun Season starts right after we conclude our week 3 archery hunts which makes it also a great combo deer hunt (see our Whitetail Combo Hunts page for complete details). Since this first gun season also takes place in the middle of November, you have a very good chance of still catching some rutting activity. On this hunt our clients arrive on Thursday and hunt Friday – Sunday. This is always an exciting time to be deer hunting Illinois. So as you can see, the deer hunting season in Illinois starts on October first and you can hunt everyday right through the middle of January. That is a long season. One of the keys to ITB’s success over the years is that we only hunt our farms for 4 weeks over that long season. During the other 11 months of the year, our farms are a refuge for the deer, offering them a place to live and escape the pressure that other outfitters place on their farms by hunting the whole season. So when comparing outfitters to hunt with, look to see how much pressure they place on their farms, by hunting them week after week, all season long. By only bowhunting our farms for 3 weeks, followed by the short 3 day Illinois gun season, our clients are hunting farms with very little annual pressure, one of the key ingredients to growing and holding trophy whitetail deer!